Paracetamol is widely used for many minor aches and pains to relieve mild to moderate pain because of its analgesic and antipyretic properties. Moreover, It can be used as an intermediate for pharmaceuticals and azo dyes, stabilizer for hydrogen peroxide, photographic chemicals. Unfortunately, it can be found in food as a harmful tenderiser. Paracetamol is an odorless, slightly bitter taste white crystalline powder, very slightly soluble in cold water but with greater solubility in hot water. It is soluble in methanol, ethanol, dimethylformamide, ethylene dichloride, acetone, ethyl acetate, slightly soluble in ether and insoluble in petroleum ether, pentane, benzene. A saturated aqueous solution has a pH of about 6 and is stable (half-life over 20 years) but stability decreases in acid or alkaline conditions. to nonsteroidal anti-inflammatory drugs. It is commonly used for minor aches and pains, and is a major ingredient in numerous cold and flu remedies. It is suitable for most people because it has very few side effects. In combination with opioid analgesics, paracetamol can also be used in the management of more severe pain such as post surgical pain and providing palliative care in advanced cancer patients. Unfortunately some food vendors and chop bar operators use paracetamol to tenderize meat to avoid the long hours of boiling. The drug has been proved to be very harmful to human health if used for the wrong reasons other than it serving as a pain killer. It could give severe kidney problems when heat is applied to it because as a chemical compound it undergoes changes, depending on how it is handled. 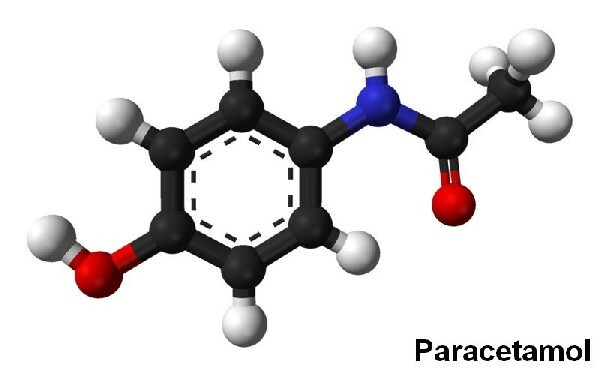 Paracetamol is also used as an intermediate for pharmaceuticals (as a precursor in penicillin) and azodyes, as a stabilizer for hydrogen peroxide, photographic chemicals.